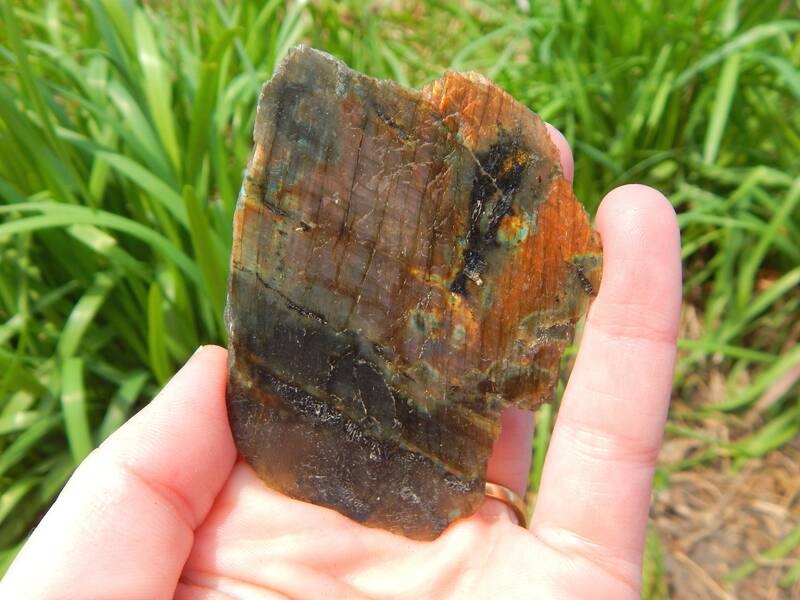 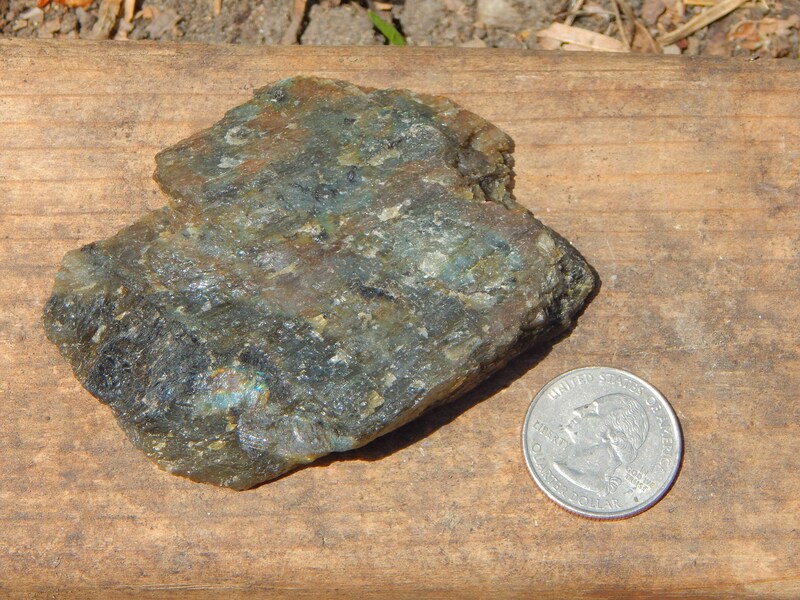 A large, 3 inch wide Labradorite slab, polished on one surface to display pink, red and gold tones. 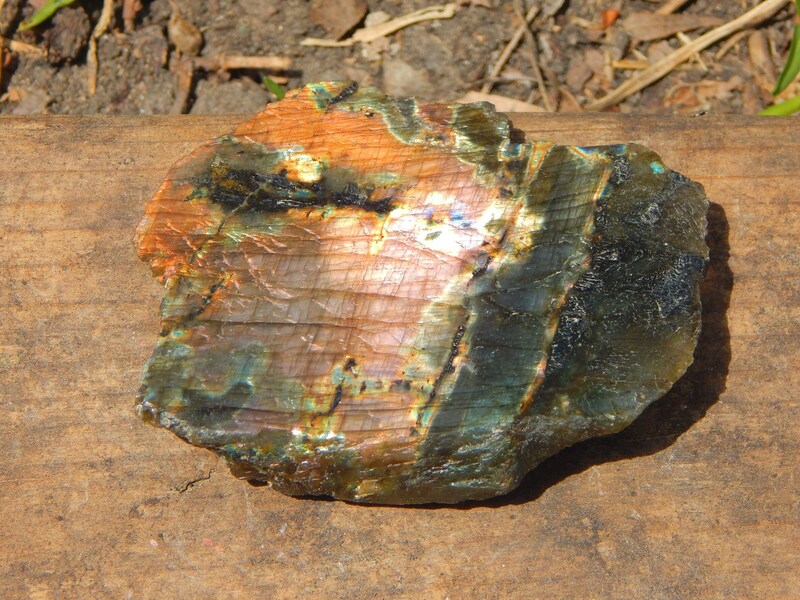 It weighs 81 grams and has lots of rainbow flash characteristic of this highly unique type of gemstone. 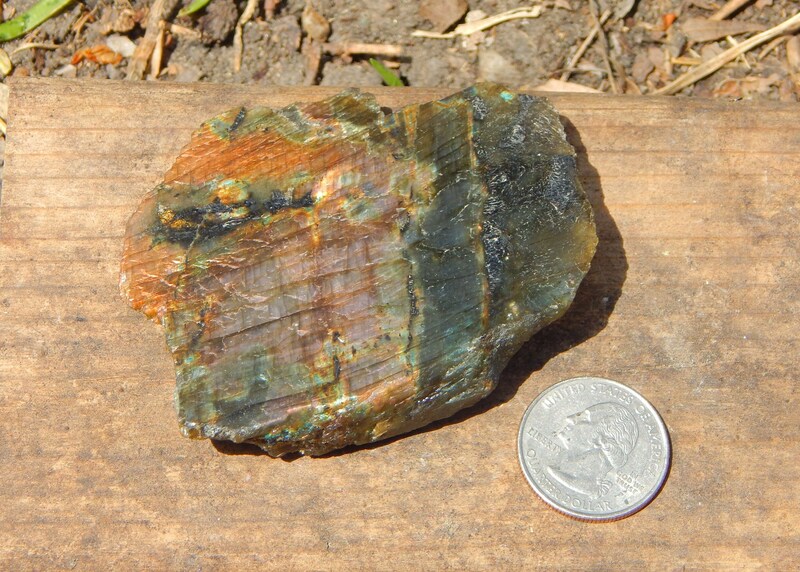 It is shown next to a quarter for size comparison.